over the past decade or so. There was a day, not an age ago, where bands had a big say and there was a lot of great music from them. This year has not exactly been lazy when it comes to bands and their glory – we have the likes of IDLES and Arctic Monkeys flying the flag – but there is not the scene there was back in the 1990 or last decade. I know there are a tonne of bands coming through and a load of stunning acts that are picking up awards and creating great music. Music, still, is very much about the solo artist. Look at the top-twenty albums from this year – in terms of the critical reaction – and they are from solo artists. I am not sure when the change happened but music has become more and more a solo endeavour. Many might say that is quite lonely and wonder where bands have gone but are bands going out of fashion?! Maybe they will not disappear from the consciousness of the mainstream. I do wonder how we got to a time when the band market ruled to now: solo artists are dominant and providing us with the finest albums (by and large). I do wonder whether a lot of the best bands have past their best days and the finest of the new breed are fighting to get attention. I know there will be a swing back towards bands and we will see years when band-created music rules but, as of now, I have to ask whether sheer numbers is the problem. I feel there is something freeing and liberating with the solo artist. They can do what they want and are more flexible regarding genres and splicing sounds. Back when there was a bigger and more mainstream-visible band scene, it was easier to succeed and be visible. Now, I feel there is less of a demand for groups and what they are doing – a lot of festivals are reflecting this. Duos are a great ‘compromise’ but are still not as potent and popular as the solo artist. I think musical collaborations are providing a lot of promise. Look at LUMP and what they are putting out right now. Laura Marling and Mike Lindsay are this dream partnership that are creating fantastic sounds. It can be the case solo artists who have their own vibe and fanbase can find new delight and ambition when they join with another. I am more familiar with Marling’s work but am not as au fair with Lindsay. Tunng is the twisted Acid-Folk band started by Lindsay and it is completely different to what Laura Marling has put out. Both are incredible musicians and they are a potent force when joined together. “The results aren’t always golden - have a listen to Paul McCartney and Stevie Wonder’s ‘Ebony and Ivory’ - but when artists find a natural chemistry together, the songs they write complement and enhance one another and create something brilliantly new in the process. 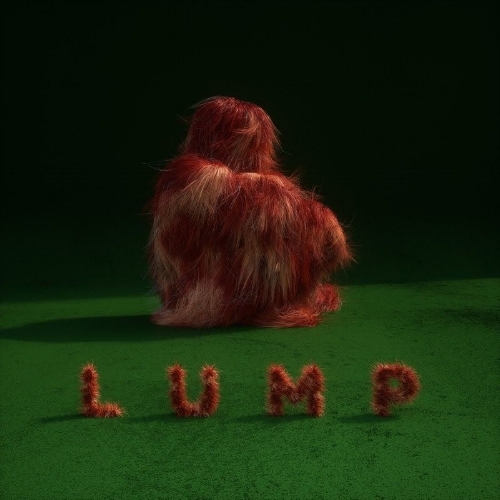 Such joy can be heard in Laura Marling and Mike Lindsay's work together as LUMP. Their spirit of collaboration is writ large throughout their eponymously titled record, where Marling adds words and vocals to Lindsay’s music and is literally spelt out on the final song, “LUMP is a Product (credits)”, which starts with the lyric “LUMP is a product of Mike Lindsay and Laura Marling.” There’s also the mysterious LUMP himself in the mix, the figurative embodiment of their work and the albums’ cover star who they’ve described as “Bagpuss but mixed with a yeti". “Laura: “The record they did together, Gentlewoman, Ruby Man was very good and actually it’s probably the easiest equivalent to LUMP in some ways. I thought it was a brilliant use of her timeless, weird ‘60s’/‘70s vibe and his production style." Mike: “I hadn’t actually heard it and what’s been nice about doing this is the opportunity to listen to things; you can explore a little bit. I know both artists but I hadn’t heard their collaboration and I really loved it when Laura sent it through. I don’t always sit down and listen to records when they come out, it sometimes takes a nudge or two here or there for me to notice what’s going on in the world". I hope this is not a one-off project from Morrissey and White and the fact LUMP are doing what they are can be traced back to Gentlewoman, Ruby Man. Another collaboration that is named in the article is Kylie Minogue and Nick Cave’s track, Where the Wild Roses Grow. Mike: “My ten year old self used to have posters of Kylie Minogue on my wall, I’m a secret fan of early Kylie. This was the turning point for her, when suddenly her whole persona of a sweet pop star kind of disappeared. It was amazing she was singing with Nick Cave and that’s definitely a sign of the greater than the sum of its best parts scenario - Nick Cave hadn’t worked with someone like that before, from that side of the pop world and she hadn’t gone over to the dark side. It’s a great song, this is about collaborations and ‘Where The Wild Roses Grow’ is a good one”. “Backed by just a finger-picked acoustic guitar, it sounds like its being sung as the women drive down a quiet road in middle-of-nowhere America on their way to the next set of walls and doors. In the song’s final seconds, the guitar softens further, their soaring voices drawing out the final line until it cuts off abruptly midway, reinforcing that sense of brevity. It’s a notion that works on more than one level, too; much like its creators’ time in any one place, ‘Boygenius’ is all too fleeting, a record that leaves you yearning for more”. This, again, is a project I hope continues like LUMP and Matthew E. White and Flo Morrissey. Rather than abandon their solo careers; Bridgers, Dacus and Baker have been able to bring together their new songs/thoughts together and are turning heads. Courtney Barnett and Kurt Vile, last year, brought us Lotta Sea Lice. There is a natural symmetry and companionship between the musicians and their styles, to me, fuse naturally. Barnett and Vile are not that far apart in terms of their lyrical style and delivery and I feel that was a reason why they recorded an album together. Both are still recording solo – Barnett’s recent record, Tell Me How You Really Feel, is one of this year’s best – but I think it is great she and Vile have an outlet if they want to try something different. One off-duets/collaborations can work brilliantly – I think the best is still Elton John and Kiki Dee’s Don’t Go Breaking My Heart – but they can be hit-and-miss. I think more artists should join together and create something unusual/unexpected. You get it more in genres like Pop and Hip-Hop – where big names get together for a track or album – but they can fizzle. I think the likes of LUMP show well-known artists can step out of their normal world and make music together. I hold high hopes boygenius make another album and we get more from Flo Morrissey and Matthew E. White. CAN truly stagger the senses!